Use a foam roller for postrun recovery? Smart move: This simple tool acts as a deep-tissue massager, working out kinks in overused muscles. But its benefits don't end there—it can also build strength and stability. 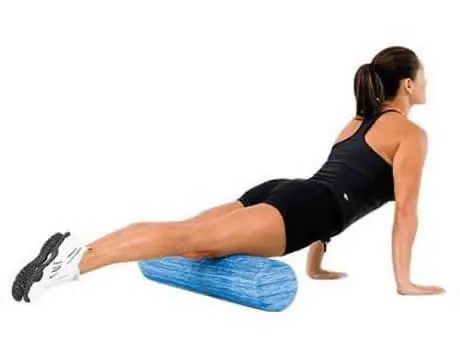 Because the foam roller has a curved, unstable surface, adding it to an exercise, like a plank, suddenly gives a standard move a challenging twist. "Balancing on a foam roller requires your body to recruit more muscles, especially in your core, to perform the move," says Tyler G. Travis, executive director of Lake Erie College of Osteopathic Medicine Medical Fitness and Wellness Center, who created this routine. If you'd rather exercise in a group, see these Best New Gym Classes for some inspiration.